The King Koil Pocket Support 1200 3' Divan Bed combines King Koil support foam with traditional pocket springs for spinal alignment. 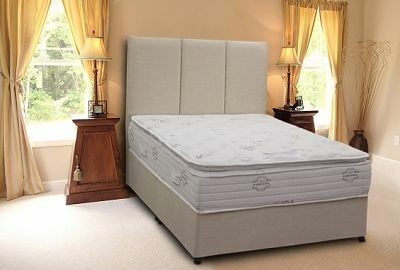 The turn free mattress features King Koil's spinal zone for additional posture support which is finished with a high-lofted quilted panel for extra comfort. The mattress is suitable for bedsteads and divans, and is ideal for allergy sufferers as it contains anti-microbial qualities and is hypo-allergenic. The King Koil Pocket Support 1200 3' Divan Bed is part of the new collection of luxury pocket spring beds from King Koil. This model incorporates 1200 Traditional Pocket Springs, Luxury Upholstery Fillings and King Koil's Support Foam for superb spinal alignment. The Spinal Zone offers additional posture support and the Reinforced Flex Edges provide 20% more sleep surface. 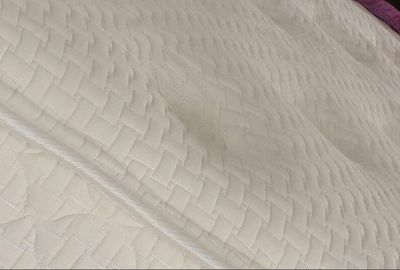 The Turn Free Mattress is finished in a High-loft Quilted Panel for additional support and comfort and is suitable for Divans Bases and Bedsteads. This luxury pocket spring bed is ideal for those that suffer with allergies as it contains Anti-microbial Qualities and is Hypo-Allergenic. For added reassurance, the King Koil Pocket Support 1200 Single Bed is ICA and NBF Approved and comes with a generous 10 Year Guarantee. This bed also benefits from Free Delivery and Free Collection and Recycling of Your Old Bed throughout Northern Ireland, and Counties Dublin, Louth and Monaghan in Ireland. We’ll also set-up your New Bed in a room of your choosing and dispose of all the packaging. *Delivery throughout the rest of Ireland available at Highly Competitive Rates.